Coming soon! Be whoever you want be with our magnificent new mix & match books. 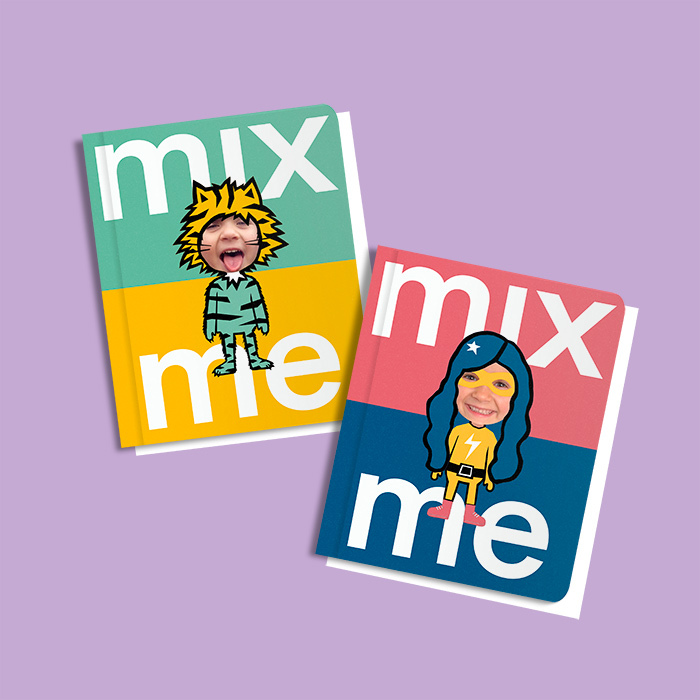 Have a giggle as kids mix up their characters (all with their own face) With chunky pages and bold illustrations these are perfect playful books for babies and toddlers. We are busily working away on the inside pages as we speak and you'll be able to see more very soon. We use crowdfunding to launch all our new books as it's a great way to reach as many people as possible (and you can give us your opinions as we go). For now join our newsletter below and we'll let you know as soon as it's ready. Join our newsletter and we’ll let you know when new books are ready. You’ll also receive a monthly dose of kidspiration and discounts.